The Gay reviews Northern Ballet's Jane Eyre, giving it 3 stars out of 5. Dreda Blow charms as the titular character, whilst Javier Torres gives a brooding and charismatic performance as Rochester; and Victoria Mason breathes life and insanity into the role of Rochester’s wife. In a company which danced with technical precision across the board, Mlindi Kulashe and Kevin Poeung both stood out from the ensemble and their consistency of performance and development from ballet to ballet continue to impress. Given the rich story and the numerous events depicted in the book, there is a lot for Marston to fit into the ballet’s two hour run time, and whilst the key plot points are hit; the narrative is not always as clear as it could be. Those familiar with Bronte’s work will find much to enjoy within this production, whilst others may find the programme notes useful in keeping track. The Rumpus interviews Ted Scheinman, author of Camp Austen: My Life as an Accidental Jane Austen Superfan and asks him about the Austen vs Brontës (pointless) debates. Rumpus: You allude to the schism between people who love Jane Austen and people who love the Brontës—dare I ask, what is that schism about? Scheinman: I think it’s natural for fans to become clannish, and it certainly helps stir up solidarity among the in-group—nothing so useful as an external enemy. But I’m also not convinced that one ever has to choose. To oversimplify, it’s a little like the Beatles/Stones flame wars among American teens in the early 1960s. The Beatles were controlled and contained, arranging R&B styles within a sort of hallowed pop chamber. The Stones were dirty (they didn’t even wear ties!) and their music darker—the Dionysians to the mop-top Apollonians from Liverpool. That division of order vs. passion and classicism vs. 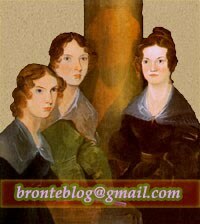 Romanticism is a powerful organizing principle, and it obtains in the Austen/Brontë schsim. My impression is that a lot of the Janeites prefer the precision of Austen, and are able to find plenty of passion in those novels; it’s just passion of a different sort. The Hollywood Reporter reviews the film adaptation of The Guernsey Literary and Potato Peel Pie Society. The Sydney Morning Herald interviews writer and screenwriter Michelle Law. The Debrief discusses Toffee Dating, a soon-to-be-launched app that's been 'designed to help people who went to private school find love'. I mean, using what school you attended to divide eligible and ineligible mates is LITERALLY promoting social division, but okay. Coffee n' Notes reviews the Manga Classics' adaptation of Jane Eyre. And finally, don't miss this: Lucy the Reader, Brontë Society Young Ambassador, does a tour of the Brontë Parsonage.